Children classes, enhance self-esteem by heightening your child’s physical and mental abilities. They also build confidence by encouraging your child to succeed and to take control. Children learn to respect for themselves and others, heightened concentration, and increase self-discipline and self-restrain. 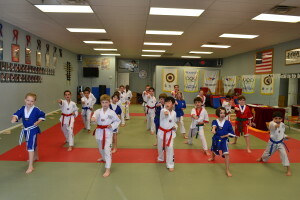 Taekwondo develops your child’s athletic abilities and self-awareness, and imporves the child’s capabilities in self-defense.